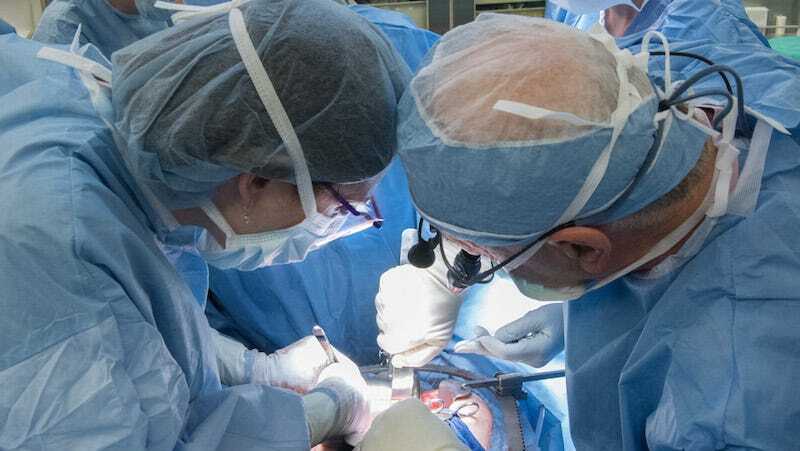 Earlier this week, the Cleveland Clinic announced that the first uterus transplant performed in the United States was a success. Lindsey, the 26-year-old who had undergone the procedure, said in a news conference that she was looking forward to starting IVF with hopes that she might bring a pregnancy to full term. Now, the New York Times is reporting that shortly after the announcement, Lindsey developed “a serious complication,” and had the organ removed. Cleveland Clinic did not elaborate on the complications but did indicate that the patient was recovering and doctors were able to remove the uterus. Pathologists at the hospital will study the donor organ to figure out exactly what went wrong. Lindsey is one of ten women chosen by the Cleveland Clinic for the transplant trial. Her transplant surgery was performed without complications on February 24. Earlier this week, the team of doctors who performed the transplant initially described it as a “hopeful” start to the program. Contact the author at stassa.edwards@jezebel.com.